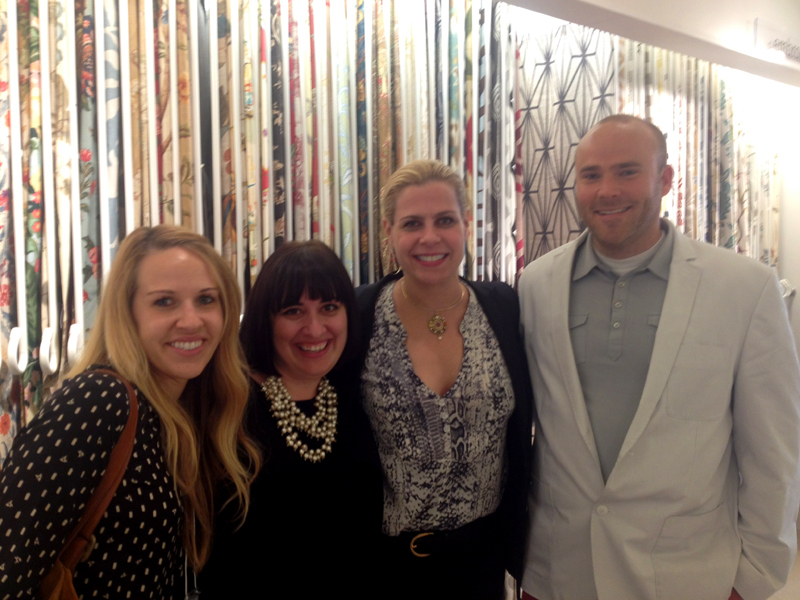 This week I attended spring market at the Laguna Design Center and West Week at the Pacific Design Center. It's one of my favorite weeks of the year to be a designer because I get to meet new friends, run in to old friends, hear awesome speakers (Alexa Hampton was my favorite), and check out new product. Another highlight was chatting with Ross Cassidy (so helpful and charming!) from Jeffrey Alan Marks Inc. at the Witford showroom while they were there promoting their beautiful new line for Palacek - so good. Speaking of running in to old friends, I do not recommend jumping in the shower last minute, throwing your hair in a wet bun with no make up, and heading over to the PDC to try and catch the last keynote expecting not to run in to anyone you know, because you most certainly will (4 people to be exact), and then you'll feel an overwhelming need to reassure them that, despite your appearance, you are still a designer...not a gym teacher. 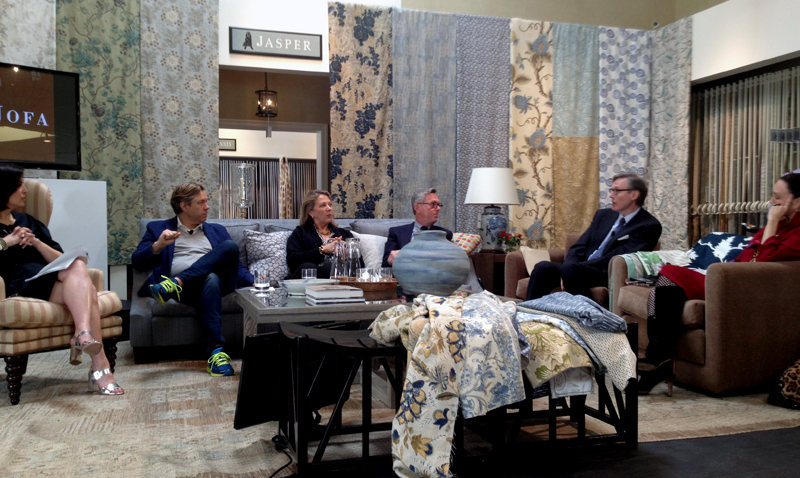 Top photo was the panel discussion at the Jasper Showroom with Michael S. Smith, Mary McDonald, Suzanne Tucker, and Dara Caponigro. Bottom photo is at the book signing with Alexa Hamtpon which took place after her talk. One Kings Lane Tag Sale Teaser!